A round-up of today’s transfer rumours and other fluff and nonsense in the Press. Let’s kick off with Liverpool, who’ve bid £61m bid for Portugal Under-21 attacking midfielder Joao Felix, 19. Correio da Manha says Benfica, his current club, think the teenager is worth more. Someone arguably worth less is Philippe Coutinho. The Liverpool Echo in a no-news special says Liverpool won’t be resigning the Brazil midfielder, 26, they flogged to Barcelona for a whopping £142m just 12 months ago. Many other clubs also won’t be buying Coutinho. One player who could be finally on his way to the Premier League is Juventus and Argentina striker Gonzalo Higuain. Chelsea want to sign the 31-year-old before week’s Carabao Cup semi-final second leg against Tottenham, says the Sun. 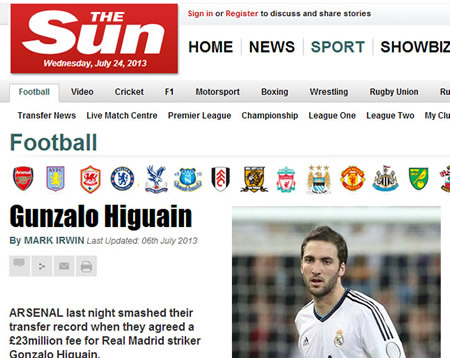 That’s the same paper that told us Higuain played for Arsenal. That story remains live on the paper’s website. Chelsea fans shouldn’t buy those Higuain replica shirts just yet. In the sunny uplands of Manchester United, Anthony Martial, 23, is all set to agreeing a new five-year contract, says Sky Sports. And Ole Gunnar Solskjaer (aka Fergie Mark 2) wants to leave his rooms at the Lowry Hotel in Salford and find a permanent address in Manchester. Everton have £40m for Chelsea and Belgium forward Michy Batshuayi. Everton are determined to catch the so-called Big 6. 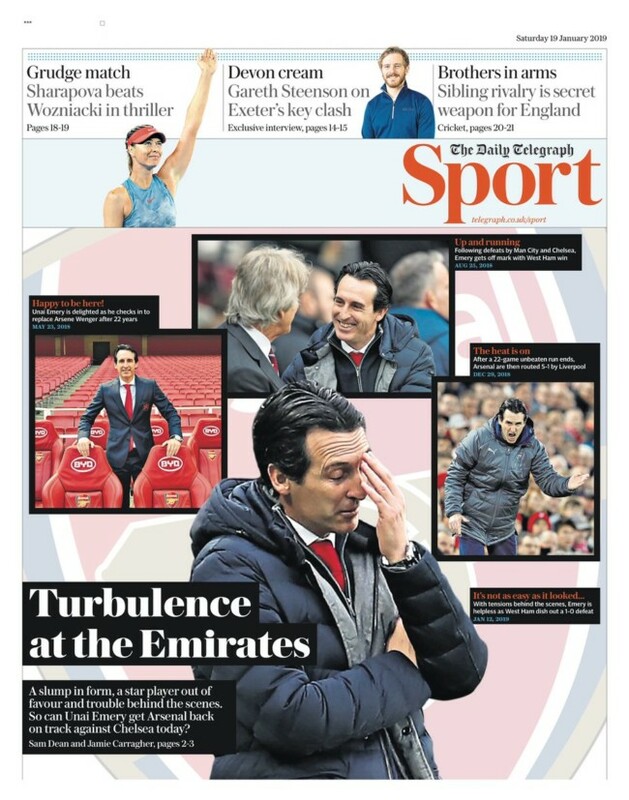 That means gaining ground on Arsenal, a club seemingly determined to return to a state of mid-80s torpor. News is that James Rodriguez, 27, will remain at Bayern Munich for the rest of season. The Express says Arsenal have as much chance of signing him as they have of keeping a clean sheet. And finally Barcelona have had enough fo Malcom, 21. ESPN says that any club offering the £35.2m they paid Bordeaux for the player last July can have him. Spurs are interested.